Why going private won't necessarily pay off for the computer company. Hedge fund activism is a hot topic that evokes visceral reactions from supporters and detractors alike. Many argue that activists are nothing more than modern-day greenmailers who are only interested in short-term gains regardless of long-term repercussions. This argument is certainly plausible in some cases, as today’s activists range from those who are “ready-shoot-aim” to those who are talented strategists. In “Going Private Paying Off for Dell,” an op-ed that appeared in the Wall Street Journal last November, Michael Dell, the founder, chairman, and CEO of the eponymous company, criticizes the trend toward “short-termism.” Dell highlights the reasons he believes activism is harmful to America. He’s a remarkably successful entrepreneur, but in this case his views are inconsistent with the facts. Dell supports his view with three flawed tenets: customer and investor “priorities” can diverge; private ownership has unlocked freedom for Dell; and Wall Street’s quarterly demands hamper long-term business strategies. First, customer and investor priorities should never diverge. The single most important element in creating shareholder value is developing and delivering products and services that are valued by customers and priced reasonably. Of course, all companies need to be cognizant of how much it costs to develop and deliver their products and services. Thus, there is a tradeoff between product attributes and product cost which, when balanced properly, creates success for customers and shareholders alike. In a sense, investor interests provide a necessary check and balance on customer interests. Customers would be delighted if Dell’s products were free but the company would not exist for very long. Second, Dell’s new ownership structure might very well “unleash the passion” of Dell’s team members. But it’s unlikely that’s the result of being privately vs. publicly owned. The renewed passion is more likely the result of a heightened focus on achieving results and clarity about what defines success. A concentrated ownership structure with a sophisticated investor like private equity stalwart Silver Lake increases accountability in ways the dispersed ownership structure of a large publicly traded firms often does not. Silver Lake is unlikely to fund investments that don’t produce adequate growth and returns to persist for long periods of time the way public markets often do. In fact, Silver Lake’s website touts a core competency of “value creation driven through strategic and operational discipline.” There is little doubt that Silver Lake intends to create shareholder value through its investment in Dell. Third, for the most part “Wall Street,” and by that I mean the owners of stock, does not place quarterly demands on companies. The ‘short-termism’ originates inside companies and is typically based on a lack of understanding of what truly drives share prices. That lack of knowledge is exacerbated by corporate processes for planning and budgeting, resource allocation, performance measurement, incentive compensation, and investor communication, all of which place inordinate emphasis on achieving quarterly guidance and consensus expectations. It is true share prices often react negatively to missed quarterly earnings. But that is typically most true when the earnings miss is for a reason that investors fear will be repeated over time. When companies perform well in their operations but miss quarterly earnings due to investments in the future, investors usually drive the share price higher. Conversely, we often see companies share prices sagging when they beat earnings but provide a negative outlook. Journalists and analysts may get wound up by quarterly numbers, but the vast majority of the time investors only care to the extent they foretell something about the expected future. Consider a company trading at a relatively low price-to-next-twelve-months-of-earnings multiple of 10x. By definition only 10% of the company’s value can be explained by earnings over the next year and the equivalent of 2.5% for the next quarter. The vast majority of the company’s value is driven by the future beyond next year and next quarter. The higher the multiple the less important the next quarter or year is. Therefore, even an investor that plans to hold a stock for only 12 months needs to be much more concerned with the company’s long-term trajectory than it does with next quarter’s results. If the company’s future prospects diminish over the year the investor is unlikely to realize a meaningful gain. As the chairman and CEO, and of course as a major shareholder, Dell was in the perfect position to change course if he felt that Dell was executing the wrong strategies or conducting business in ways that prevented rather than enabled the company’s value creation. The most troubling part of this is that based on the company’s actions, it doesn’t seem that Dell opposed the short-term focus at all. Consider that from the end of Dell’s fiscal year ending 2001 through fiscal year ending 2013 the company’s earnings per share (EPS) increased by 71%, while its net income increased by only 9%. In FY13, EPS was cited by the company as one of the key performance metrics it used to evaluate performance and derive CEO compensation, though it’s telling that this was not the case in FY01 when, by all counts, the company was more successful. The vast majority of the company’s EPS growth was generated by shrinking the number of outstanding shares by deploying nearly $33 billion into share repurchases — more than investments in R&D, capex, and M&A combined! Clearly, this was a strategy encouraged by management and the board of directors for over a decade despite the fact that the company’s share price continuously declined. In most years the remaining investors could look back and wish they had sold into the prior year buybacks. And the buyback ROI was horrible. Why did the company become the target of hedge fund activism? The buck has to stop with Dell and his fellow board members. As the buybacks seemed to crowd out investment in the business, over the FY01 to FY13 period, the company made significant investments that didn’t seem to pay off. Dell and his colleagues invested more than $28 billion in R&D, capex, and cash acquisitions, and yet the company’s cash flow from operations in FY13 was $900 million less than it was in in FY01. The company’s total shareholder return was -49% over this long time frame. As the company’s leader, Dell was entrusted by public market investors to be a steward of their capital. But his poor track record over a long period is what attracted activist investors. They saw an opportunity for improving the company and, frankly, Silver Lake seems to have seen the same opportunity. Ultimately, there is tension between short-term and long-term strategies. But the tension isn’t caused by the management vs. investors or customers vs. investors dichotomies to which Dell refers. It’s not about short term or long term; it is about short term and long term. Leadership of any company, public or private, means managing short-term and long-term goals simultaneously. A company needs to thrive in the short term to survive for the long term, and at the same time it must make investments to ensure that long term is the best it can be. In the end, I have no doubt that Dell has a chance to thrive as a private company. But I don’t believe any of that success will result from being outside the “public spotlight.” Rather, Dell may prosper because Silver Lake will be a relentless taskmaster for delivering results while defining success without ambiguity. 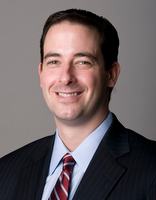 John R. Cryan is the co-founder of Fortuna Advisors LLC a boutique consulting firm focused on helping companies create long-term shareholder value. This is absolutely the best and most objective article I have read on issues around activist investing and short-termism. Well done! The cash-strapped surfwear retailer plans to emerge from bankruptcy under the control of Oaktree Capital Management.